Food is at the heart of everything we do. 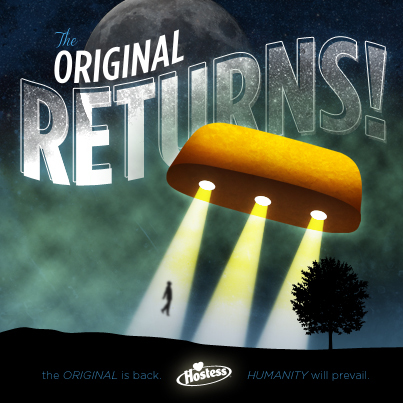 We didn’t just return Hostess to market. We elevated it to market dominance. See today’s $2.3 billion market valuation. Hostess Breakfast: Up & Eat 'Em! They say breakfast is the most important meal of the day. Breakfast sales account for 50% of the sweet-baked goods category. But Hostess cakes were lagging with only 37% of sales from breakfast. BR’s challenge was to develop a campaign targeting a younger male consumer that frequented convenience stores. The goal: To win a larger portion of the $70 million of annual breakfast sales. The solution—Hostess Breakfast: The Sweetest Cure for the Breakfast Blahs. The Blahpocalypse is upon us. People wake up, but aren’t really awake. They walk the earth like zombies. But these people aren’t dead, just dead tired of lackluster breakfasts. It’s an epidemic becoming all too common. There’s only one cure for the Breakfast Blahs: Hostess Breakfast, Up and Eat ‘Em. The Breakfast Blahs campaign was fully-integrated, using broadcast radio and social media, digital, in-store point of sale, campaign microsite, email, influencers and social content development and curation. Social-only video vignettes spread the cure for the Breakfast Blahs to c-store shoppers using regional and behavioral targeting. Influencers spread the cure through a series of alerts and educational tasks using the hashtag #BreakfastBlahs. Breakfast Blah alert messaging aligned media consumption of males shopping at c-stores. A microsite was core to the backend content strategy, highlighting the campaign and products. On-pack and in-store messaging created disruption in the convenience stores. 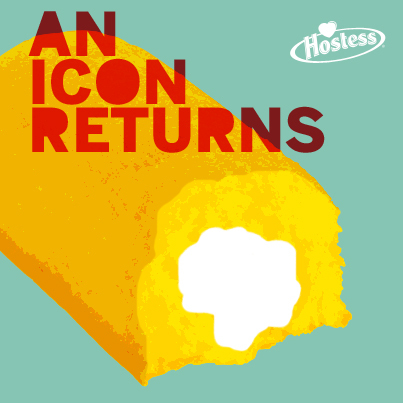 Hostess Breakfast sales grew from 37% to nearly 40% in category sales. 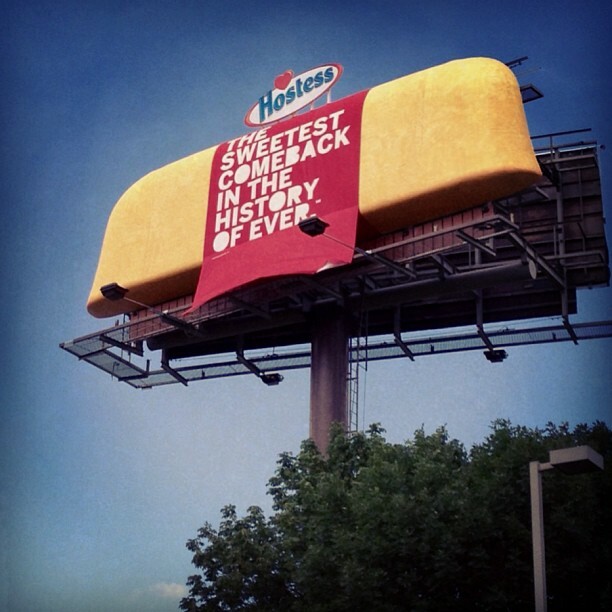 The campaign also played a large part in driving double-digit sales growth for Hostess that year. BR has a 45+ year history of working with McDonald’s and building iconic promotions including the first-ever Happy Meal. McDonald’s constantly battles for market share with a variety of national and local campaigns in a competitive environment. McDonald’s constantly creates new promotions to create interest and grow market share. People throughout Kansas City and across the region are guaranteed one sure thing every fall — shared passion for the Chiefs. 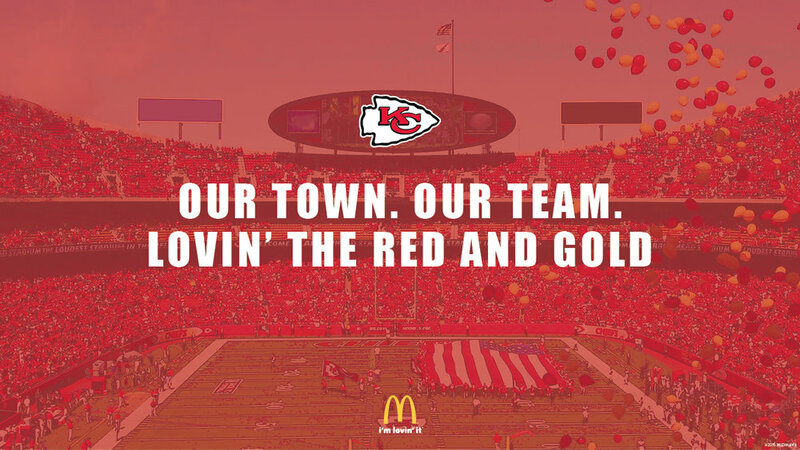 The Kansas City Chiefs are bound to be an eye catcher for McDonald’s core target of adults 35-44. This insight drove the alignment of these iconic brands. Using borrowed equity, we developed Lovin’ the Red and Gold. 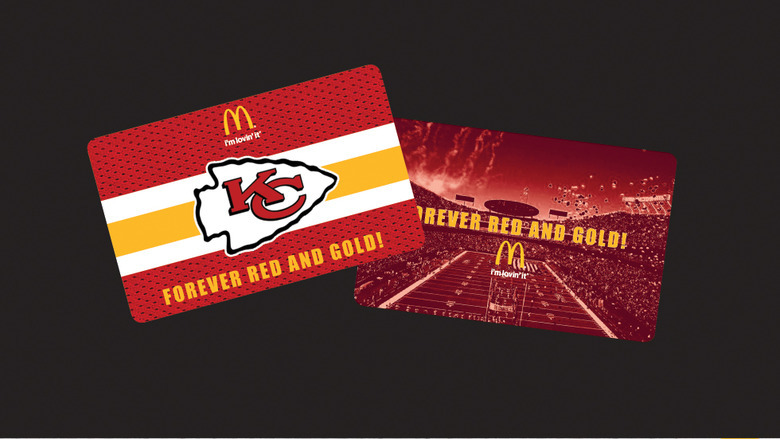 Lovin’ the Red and Gold is a 12-week, annual promotion for the Kansas City Chiefs and McDonald’s partnership and the Big Mac Sack. The fully-integrated campaign is designed to be the first and last message our customer hears during their busy day. Big Mac for Sacks had significant digital and mobile components, including rich media videos, banners, a site where fans could view more ridiculous “sack dances” and a Twitter contest to keep fans talking between games. We also built the first ever McDonald’s Fry Truck and gave away free fries in the Arrowhead Stadium parking lot on game day. This year, BR created a Feed the Noise digital experience allowing fans to easily test their own volume and the social decibel level on game day. Client relationships prevent us from sharing actual sales data (i.e. customer counts/market share), we can tell you the promotion is now a multi-year agreement and McDonald’s everywhere are filled with Big Mac Sack fans. The campaign was so successful, it’s been picked up in NFL markets nationwide. The Indianapolis region is running the Big Mac Sack promotion for the Colts and BR is working with Nebraska franchisees to emulate the Chiefs’ success with the Nebraska Cornhuskers.